WordPress is a Build-It-Yourself type of environment with flexibility to make customizations that other website builders do not allow. Fast, Easy to use, and includes Daily backups. Build your own website and let us handle the backend web server. Start blogging, selling, and sharing from your WordPress website today. Products will automatically renew until cancelled. You may turn off the auto-renewal feature by visiting your Silver Knight Domains account. SEO Plugin guides you through your site and automatically handles your website’s SEO basics. No special skills needed. Access the files on your website’s server through secure SFTP. Access your website’s server via a command line through SSH. Already have an existing WordPress website running with a different host? No problem, because you can easily migrate your site. Develop and test your website in its own staging environment. Once it’s fully tested and functioning then release it for public access. 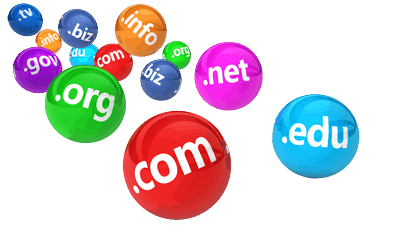 Still trying to decide on a domain name, you can still build your website on a temporary domain that is included with your hosting. As traffic to your website grows, your hosting plan can be upgraded easily to accommodate the increased traffic. WordPress® is software that runs a CMS (content management system). It’s a platform that lets you easily build your own website and blog without the need to learn HTML or CSS. The software started as an open-source project that has become a growing platform of choice for building a website from a single blog to large scale business websites. As WordPress’s popularity grows so will its functionality and features. This hosting is perfect for anyone that is going to build a website using the WordPress software. The web servers are specifically designed to handle the demands of the WordPress software. It’s easy to get started with just a few clicks. Manage WordPress Hosting from Silver Knight runs on servers using SSD (Solid State Drives). What does that mean? It means the data access is very fast. When you get your Managed WordPress Hosting from Silver Knight, you also get the award-winning support that is available 24/7 to answer any of your questions. I already have a WordPress website. Can I move it to Silver Knight? Yes you can. With the Managed WordPress Hosting we have a migration process that’s included. You get a temporary domain to start. That way you can test everything before you make your website live on its regular domain name. Are there different versions of WordPress to use? Managed WordPress Hosting make sure you will always have the newest version for your website. Whenever WordPress.org releases a new version of the software, your website will be updated automatically. Does the WordPress setup also setup the database? Yes, the database for your website is automatically created and setup for your website so you can begin blogging right away.